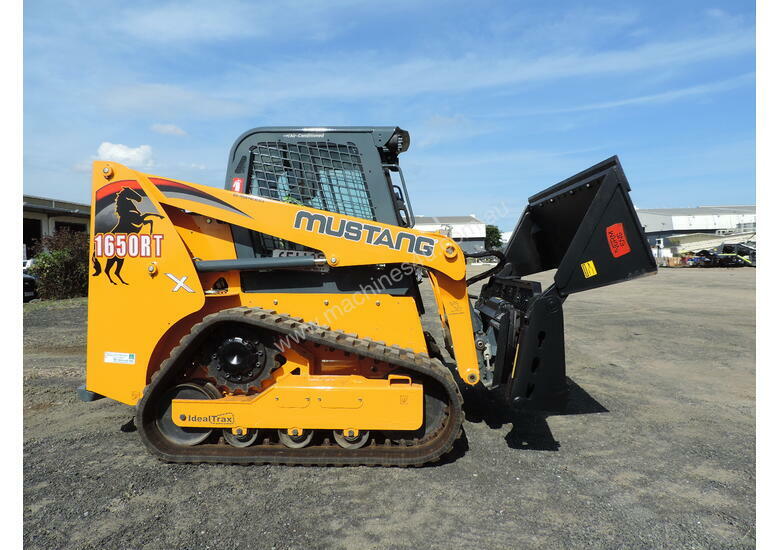 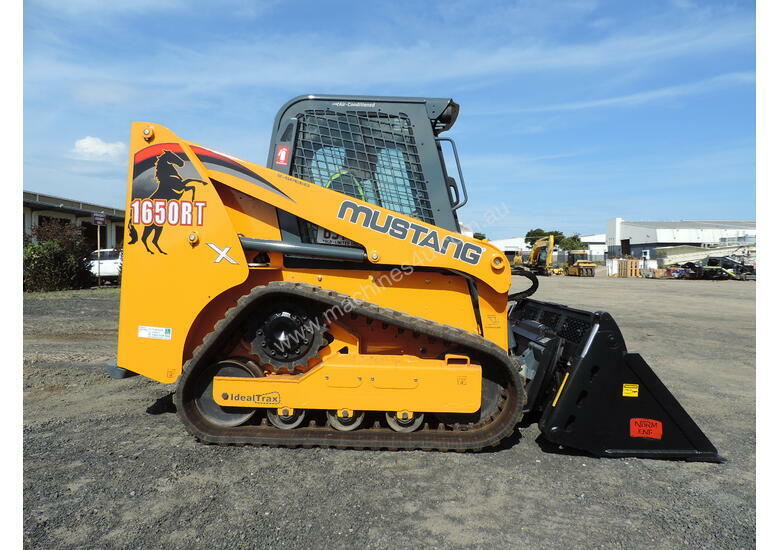 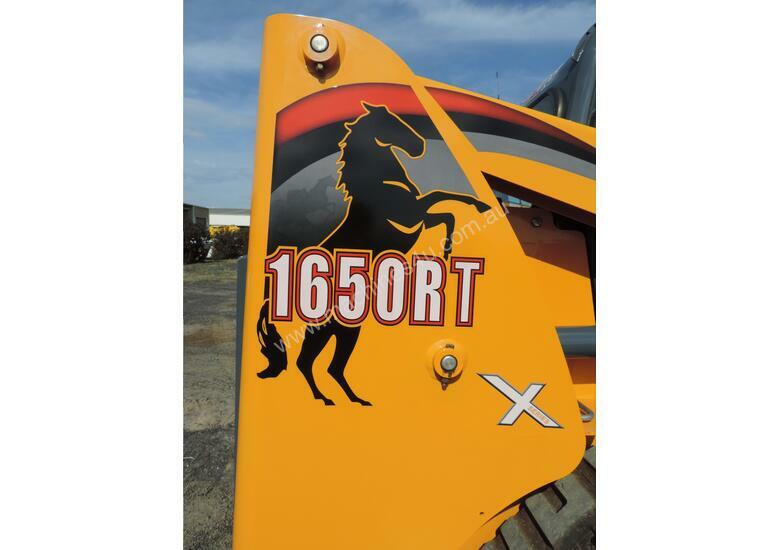 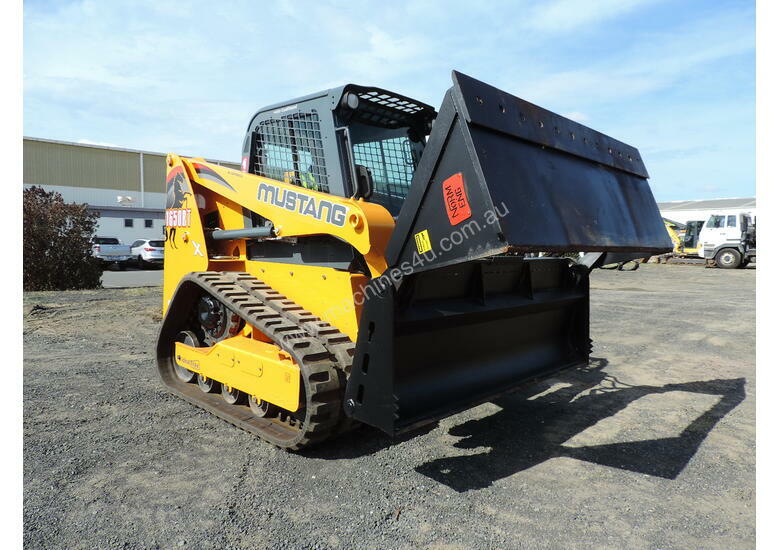 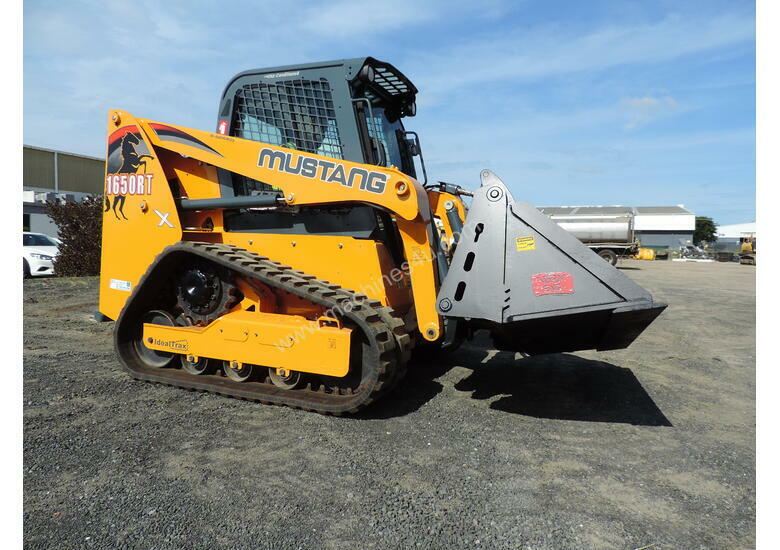 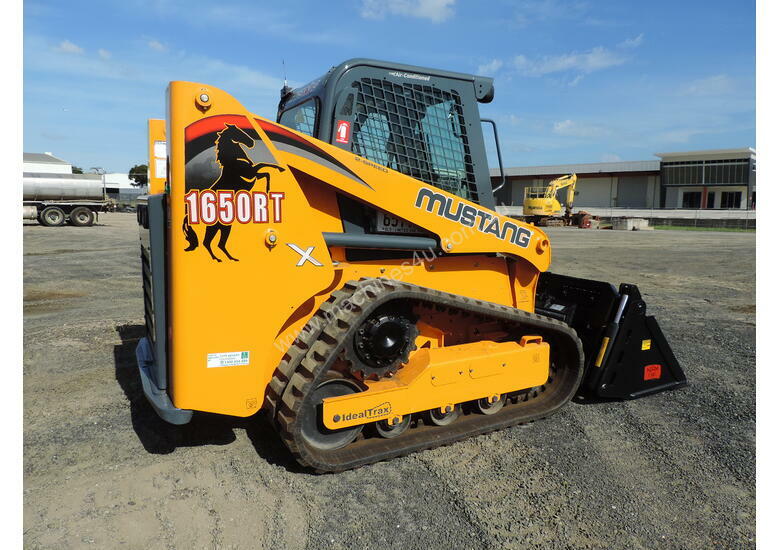 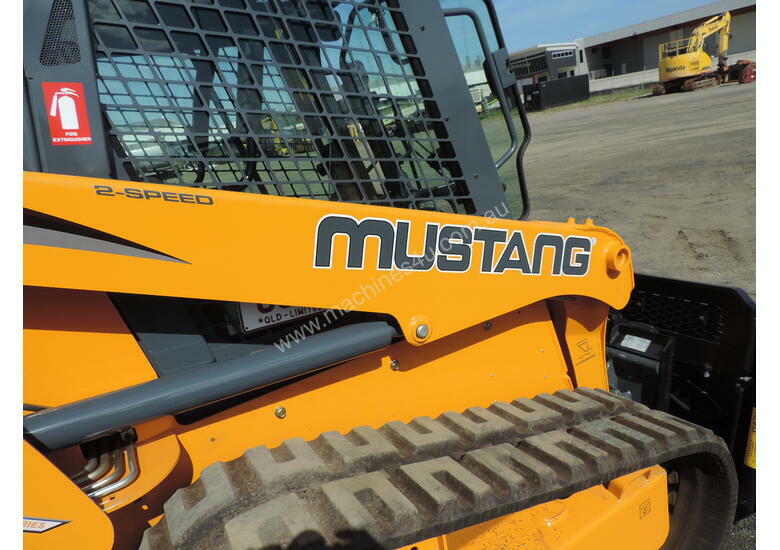 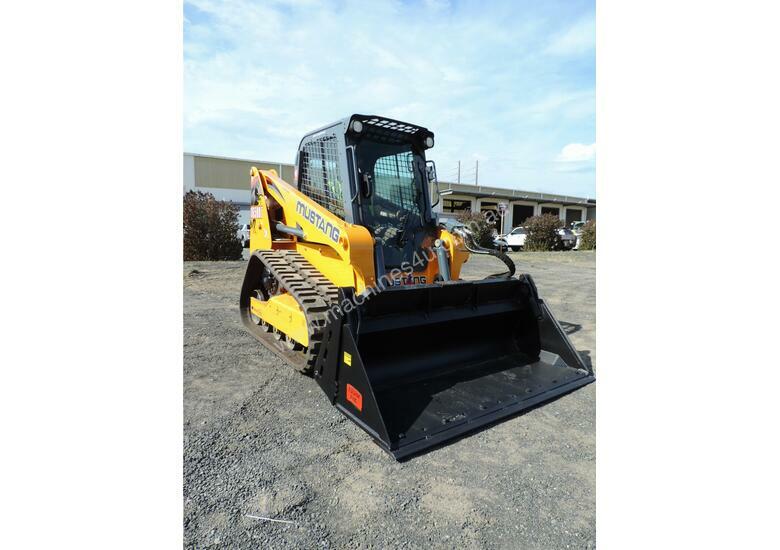 2018 Model Mustang 1650RT Skid Steer Loader. 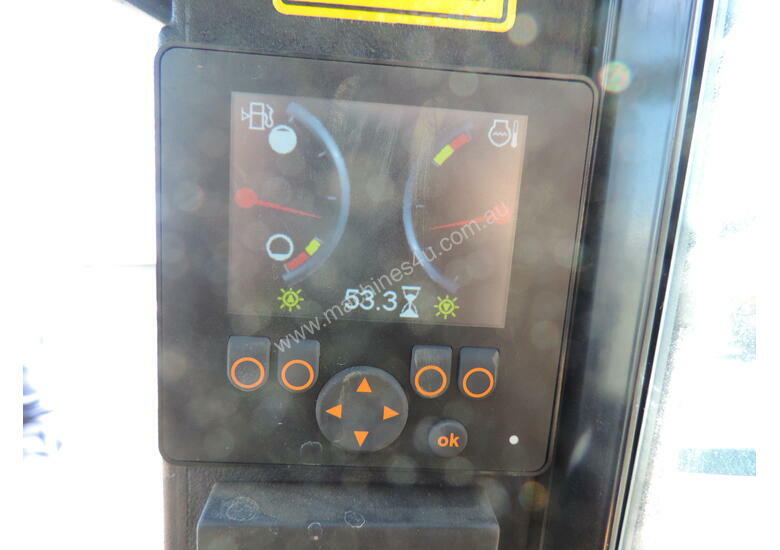 Machine has 53 hours on the clock & is in BRAND NEW condition. 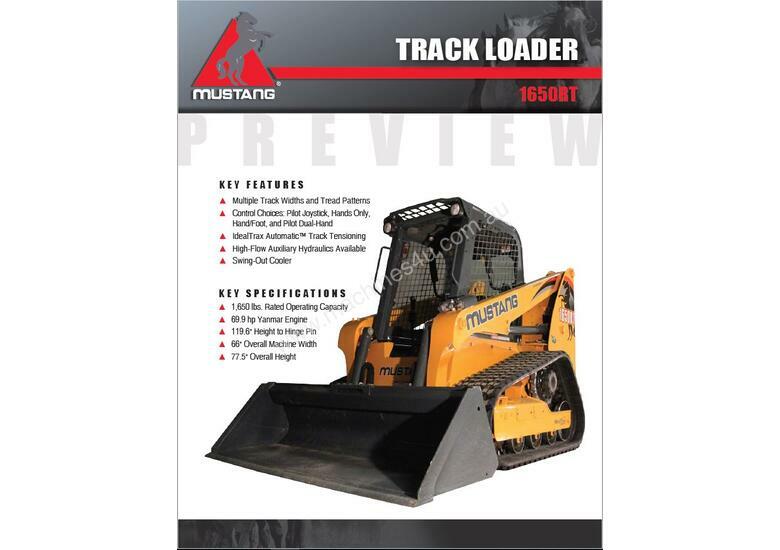 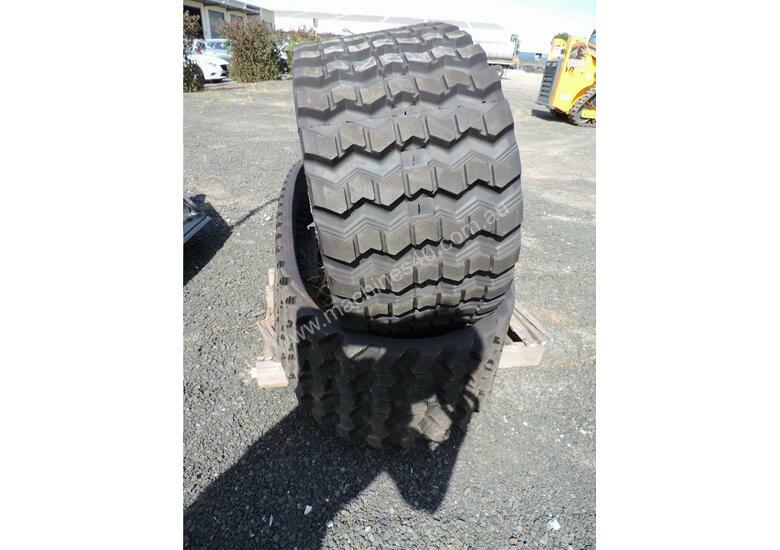 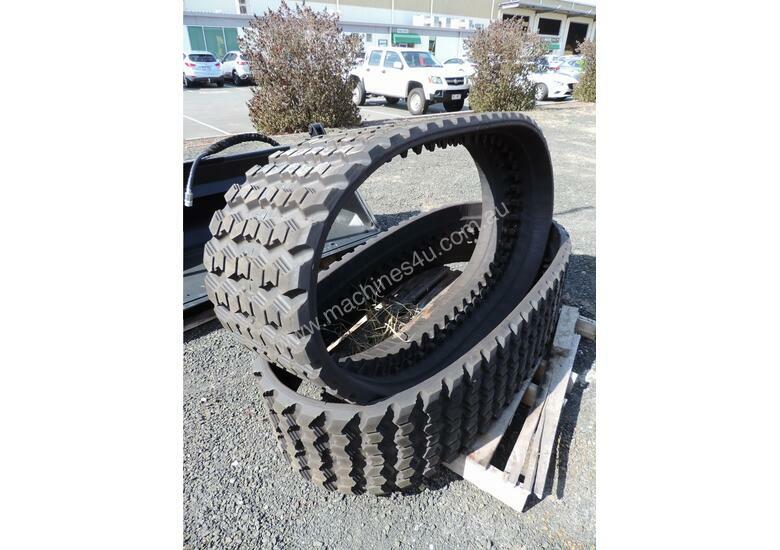 Comes with standard rubber tracks + a set of aftermarket rock tracks. 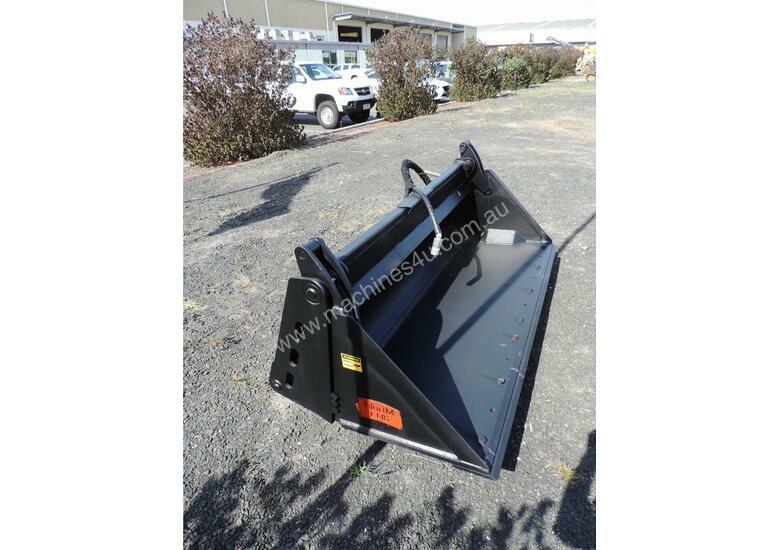 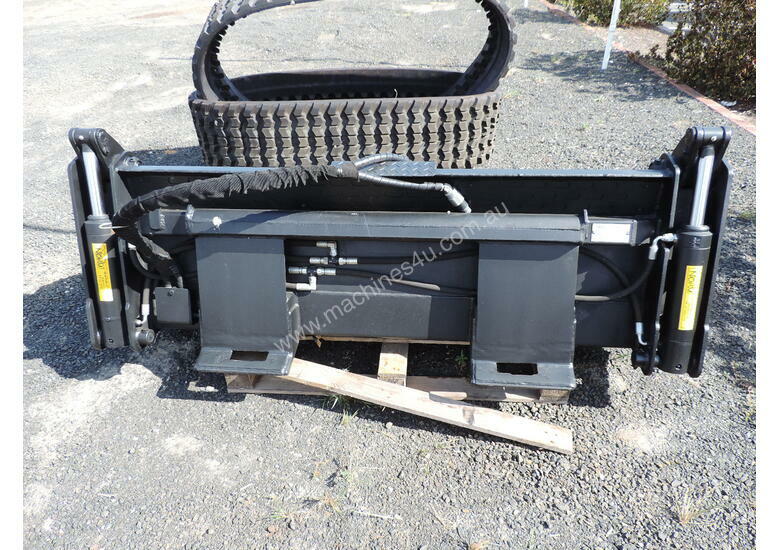 Machine comes with a Norm 4in1 bucket, as well as a Norm Tilting 4in1 bucket. 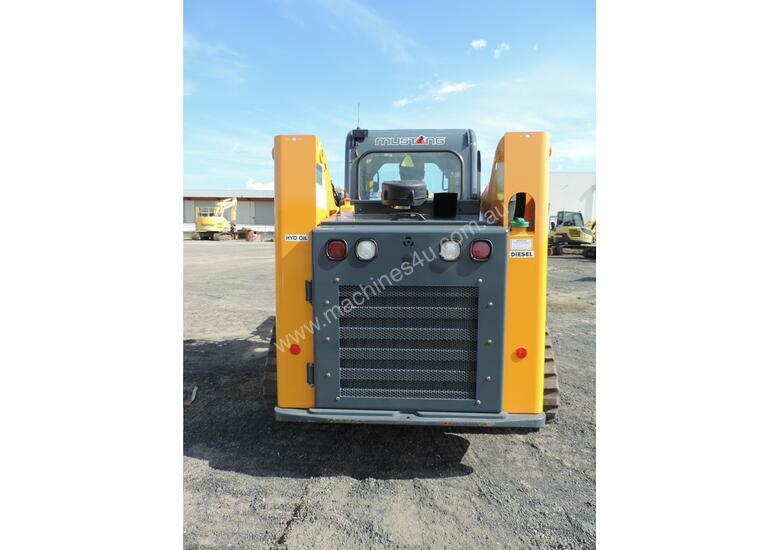 Fitted with Battery Isolator, Fire Extinguisher, UHF Radio, External Emergency Stop, ROPS / FOPS Cab (Air-conditioned). 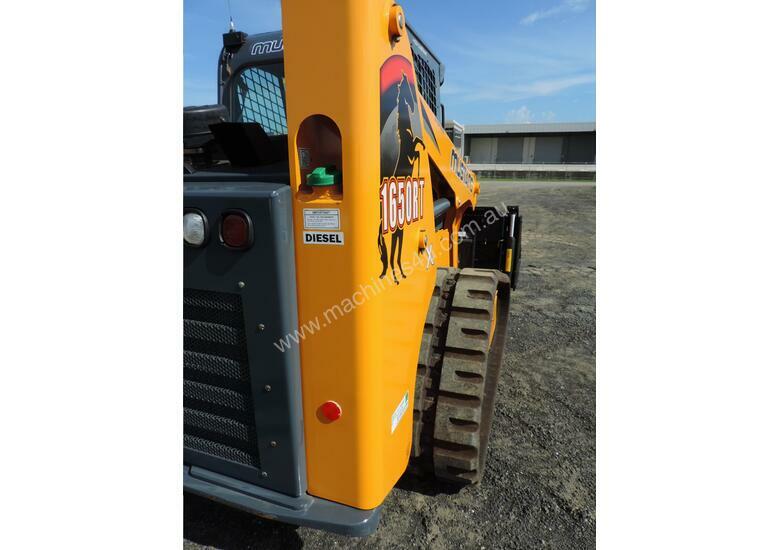 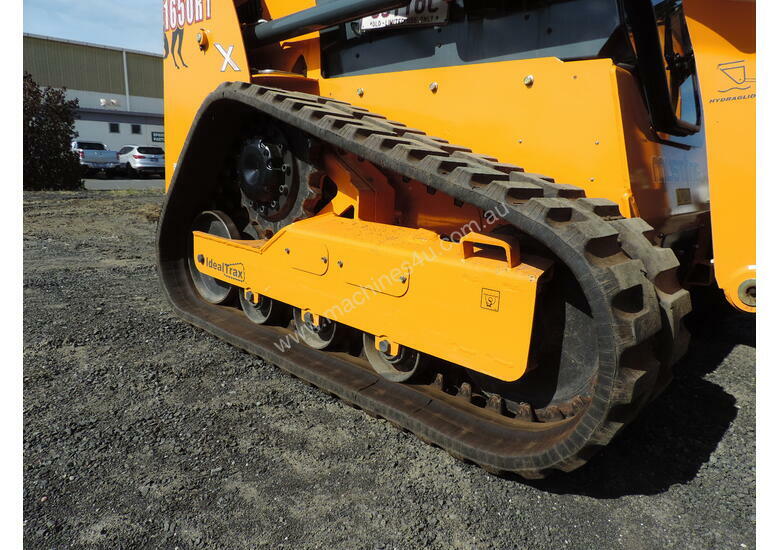 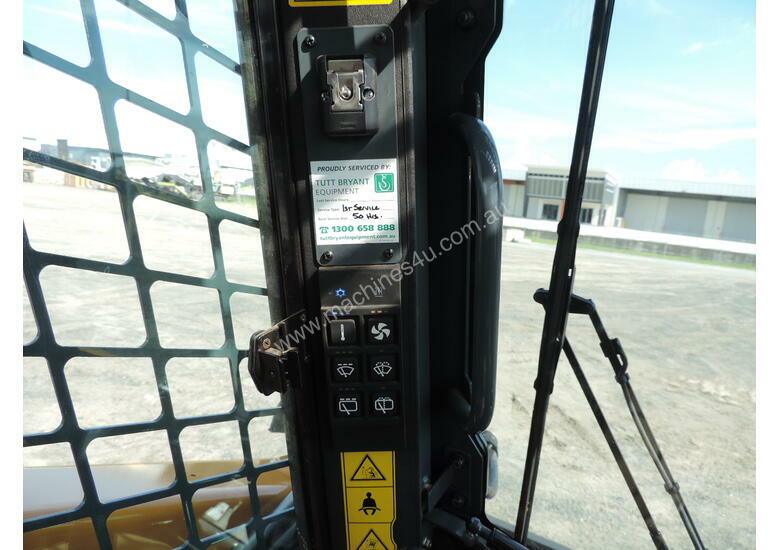 This machine is equipped with factory 2 speed option, as well as factory hydra-glide option. 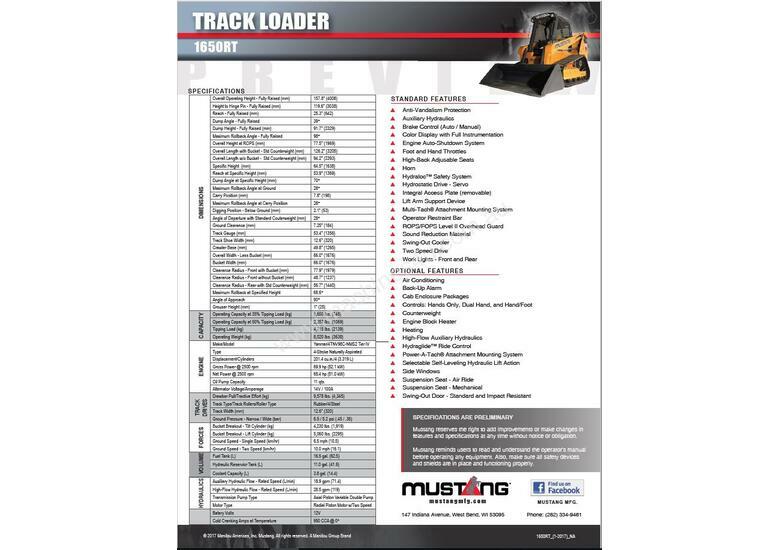 (See Attached Spec Sheet). 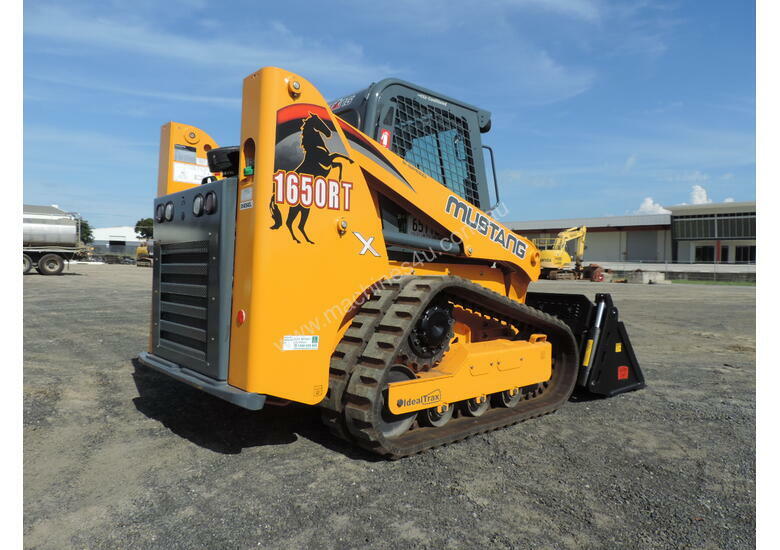 Ready to go straight to work and will not disappoint!